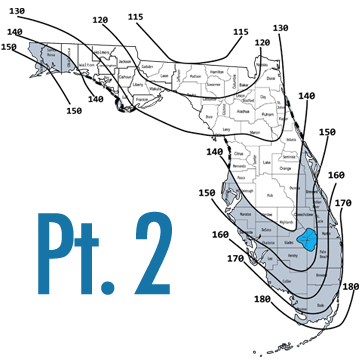 This course is designed to provide Florida construction professionals with a thorough understanding of the Wind Mitigation Methodologies Retrofitting Techniques required by Florida Statute 553.844. By completing this course the Contractor will become familiar with the following improvements as outlined in the 2010 Florida Building Code (including 2009 supplements) Building Chapters 1 & 15, Residential Chapters 3 &6, and Existing Chapters 2 & 6; Prescriptive techniques for improvement of roof-to-wall connections and Adding or strengthening opening protections, including a complete review pros and cons of approved products for opening protection. In addition to the Retrofitting requirements for those improvements, the Contractor will be provided with answers to the most frequently asked questions regarding these improvements including appropriate licensure classification and scope of work.